Courchevel winter 07/08 cultural and sports events. 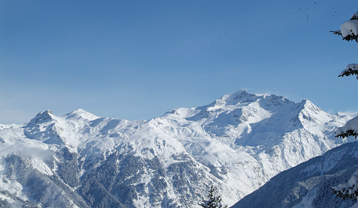 Courchevel, every year, organises many cultural and sports events that suit everyone ! Courchevel France, ski resort in Savoy in the middle of the Alps and the greatest skiable field of the world than represents the fabulous field "The 3 Valleys". Courchevel organize the second edition of "ATELIERS DE LATERRE" with for subject : workshop around durable development and the stakes. Entertainments, arrival of Santa Claus in each village of Courchevel France. Courchevel 1850 Ice skating show with many international levels' skaters. On the programme : Music in the streets of Courchevel, Dance Party and Fireworks on December 31st from 11.00pm. Courchevel 1850 A show on the snow in the magic of the night. Courchevel 1850 Over 4 days, each team - comprising two riders, a photographer and a cameraman, will record images on the ski area. The fifth day will be dedicated to editing, with a screening of the films in the evening, followed by the award ceremony. Courchevel 1850 The "Coupe de l'info" is a ski event which sees the best skiers from new teams in french and foreign media compete head to head. The 6th edition of the International Fire and Arts Pyrotechnic Festival will be organised during 10 days in the different level of the resort. Cinema Le Villard - Courchevel 1650 Hang up your ski pols - you've got a cinema date ! Discover new films in exclusive previews at Le Villard cinema. If you want to see one of the preview film shows, you can pick up your ticket in one of the Offices of Courchevel Tourisme France. Courchevel 1850 4 days 4 nights to complete a "Race for life" in support of organ donation. Come along and cheer on the runners as they finish the race they started in Paris France.